The power of the biggest brands in the world uniting for one color and one cause – tapping into their marketing prowess to give consumers the choice of having both a great product that they love AND an impact on the world. It hadn’t been done before on that scale. These never-done-before moments – that are creative and innovative – are what have built the (RED) brand. And it has evolved greatly since its launch in 2006, expanding to give people different ways of getting involved in the AIDS fight doing the things they love. Apart from shopping, apps, food, music, and the chance to win celebrity experiences, we can now SHOP (RED), EAT (RED), DANCE (RED), GAME (RED), and save lives. This past World AIDS Day, (RED) even swapped Michigan Avenue for a bigger shopping location: Amazon. 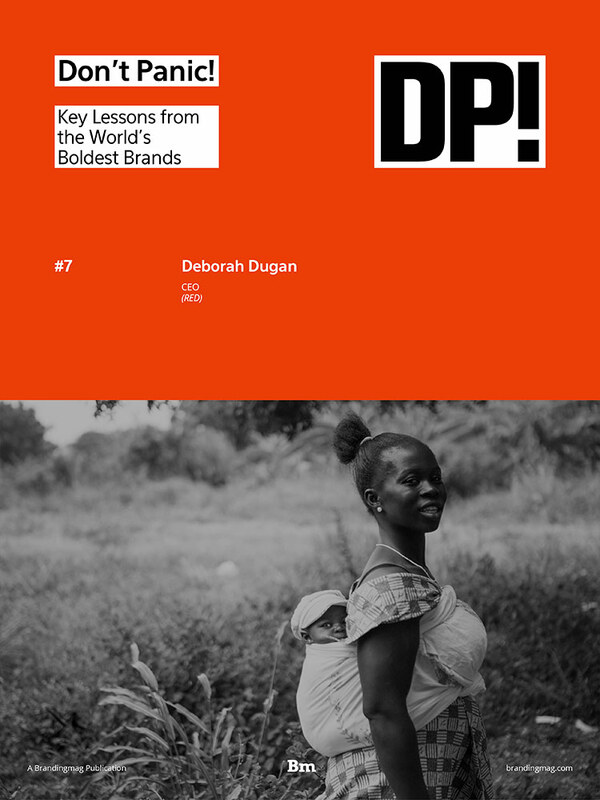 See what (RED)'s biggest challenge has been so far and how Deborah Dugan, CEO of this influential organization, sees branding's potential in the future by downloading our newest issue of Don't Panic! below.